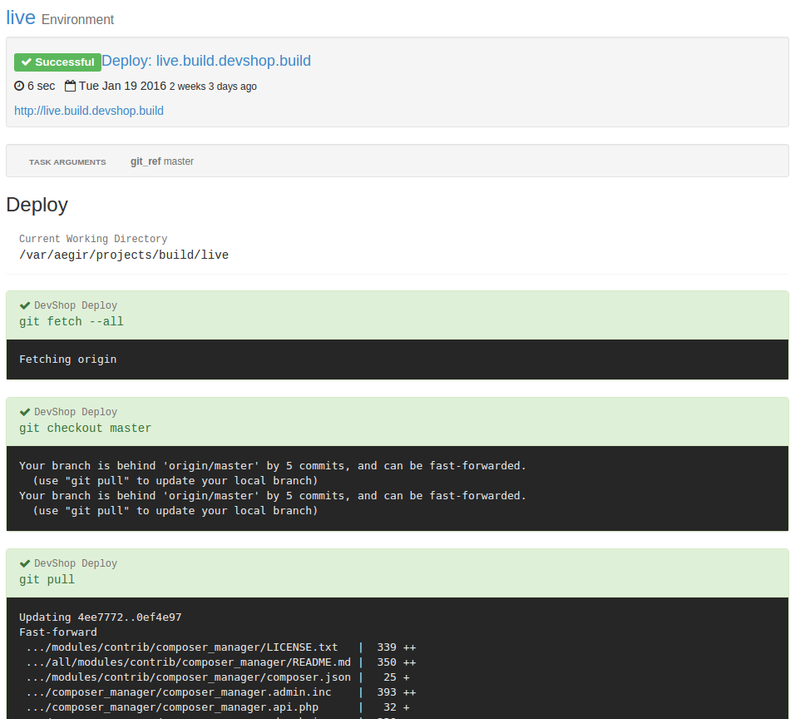 The code is deployed on push to your git repo automatically. Deploy any branch or tag to any environment. Data (the database and files) can be deployed between environments. Run the built-in hooks whenever code or data is deployed, or write your own. 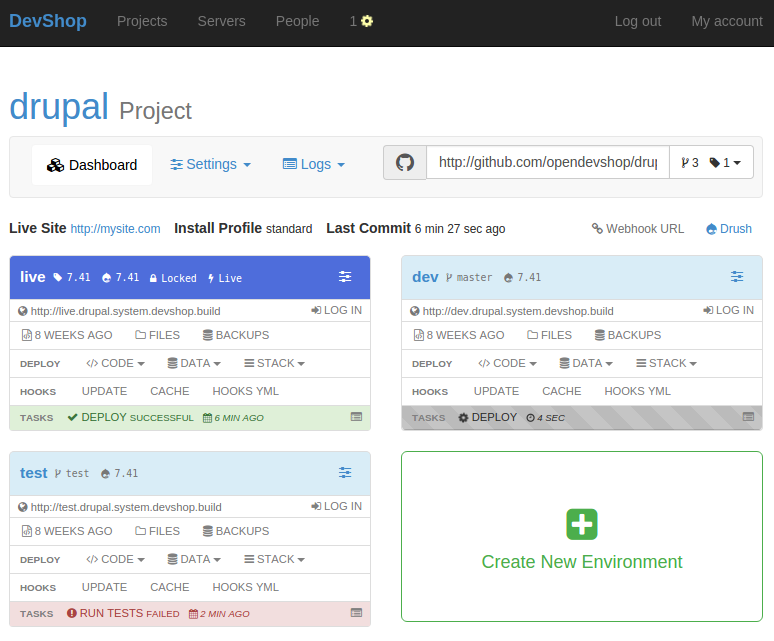 The OpenDevShop Home page shows you a bird’s eye view of all of your projects. 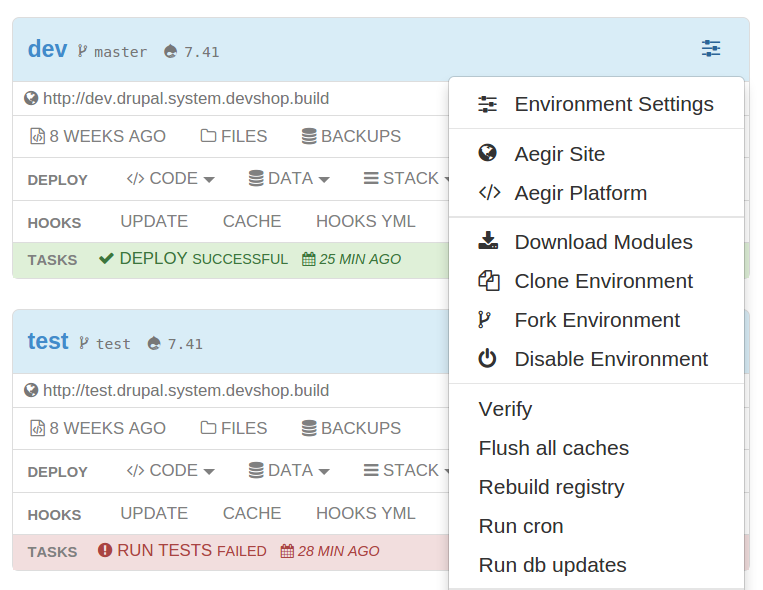 The name, install profile, git URL, Drupal Version, and a list of all the environments are visible at a glance.Each environment indicators updated in real time. You can see the status of the latest task for every site in your system. The project dashboard shows you all the information you need about your website. Git URL, the list of branches and tags, links to GitHub, links to the live environment, Drush aliases, and most importantly: your project’s environments. Each block is a running copy of your website. Name them whatever you want. Each one shows you the drupal version, the current git branch or tag, the URLs that are available, the last commit time, a files browser, and a backup system. 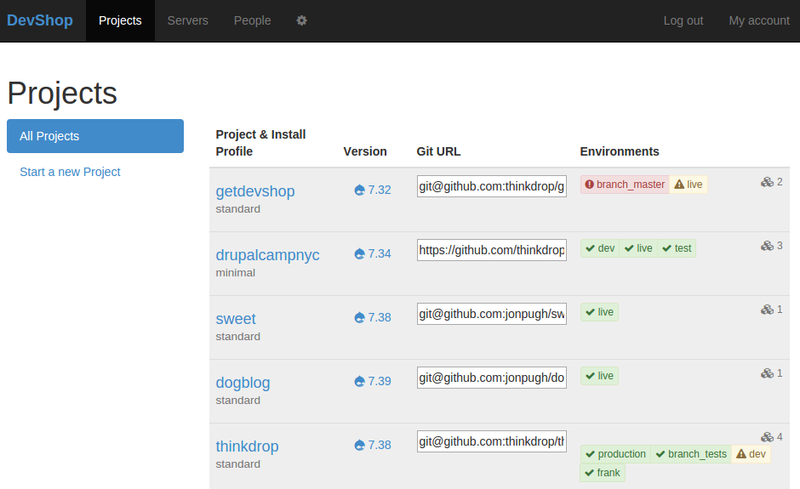 Download Modules allows you to add drupal modules and themes to your project, automatically committing them to git. Clone Environment creates an exact copy of your environment with a new name. Fork Environment runs a clone, then creates a new branch with a name of your choice! Disable & Destroy Environment. A setting prevents environments from being destroyed in two clicks. Flush all caches, Rebuild Registry, Run Cron, etc. These tasks are not really needed if you use Deploy hooks! Cron is always enabled, and caches can be cleared on every code deployment. Backup / Restore, as you would expect. 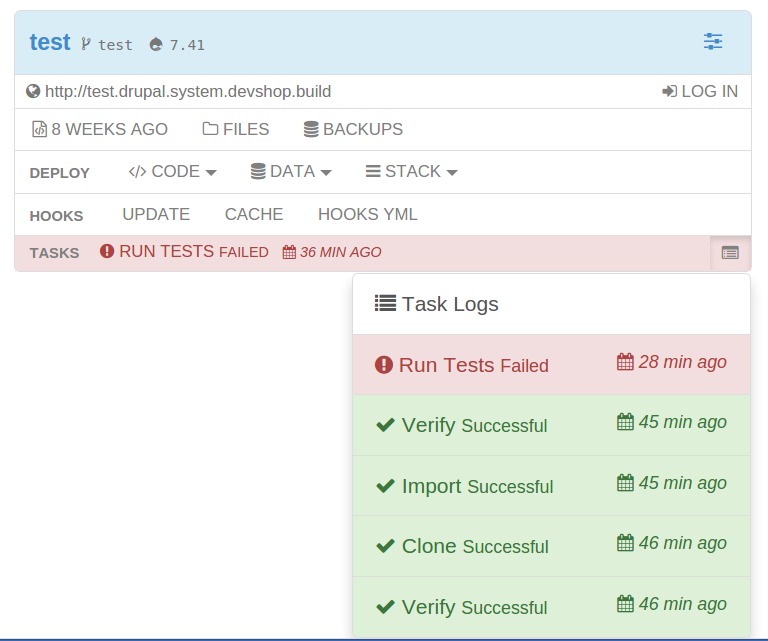 Run Tests allows you to manually trigger test runs. 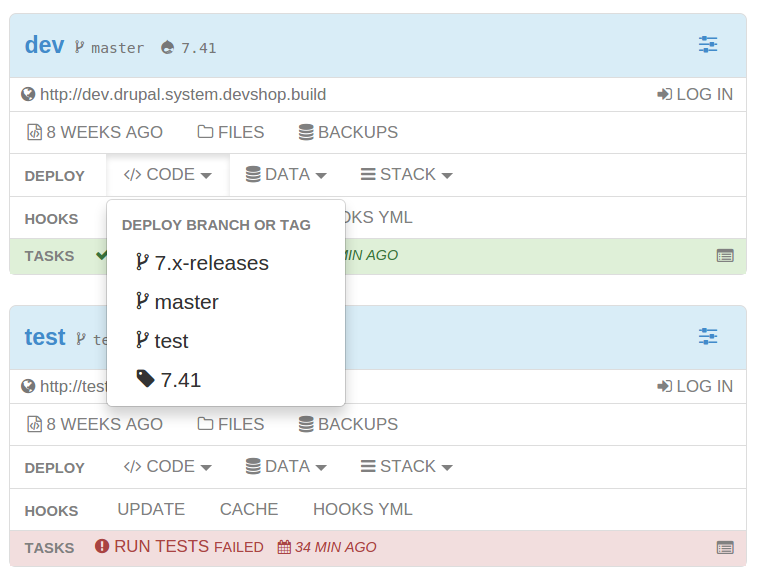 The Deploy Code control allow you to easily change what branch or tag an environment is tracking. Deploy Data allows you to deliver new database and files to your environment. Deploy Stack allows you to move your environment’s services (like database and files) from one server to another. At the bottom of each environment block, there is a status indicator for the last task that was run on the environment.You can click any task to view the detailed logs of any task. Using logs section, the devshop administrator can see all the activities that were taken place within devshop system so in case of an issue administrator can easily drill down and find the root cause. So as a conclusion why waste money when you have a free open source option to host and maintain multiple sites from a single place. We are one of the best software companies in Sri Lanka providing you hassle free projects. D6 Digital provides total business solutions to improve efficiency and productivity of your business processes using a combination of existing technology and innovative methods.